A massive well done to all the pupils who have achieved 100% attendance over this academic year so far. There were 48 pupils from reception to year 6 who have been in school every day. Thank you to the pupils for their commitment to being in school and of course to the parents for supporting them to never miss a lesson! We also had 9 pupils who had 99% attendance which is the equivalent to just one day off. Again an excellent achievement. 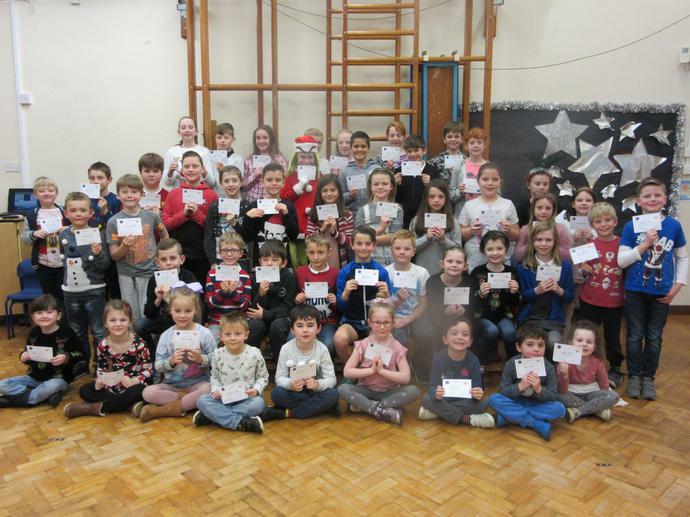 Well done to all of our 100% and 99% attendance achievers.